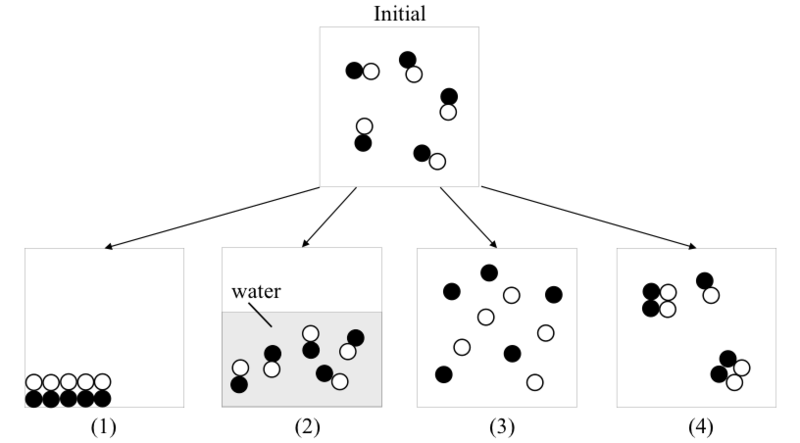 Consider the following figure of four processes from the initial state. The substances are in gas phase initially. Which process(es) would result in an entropy increase?